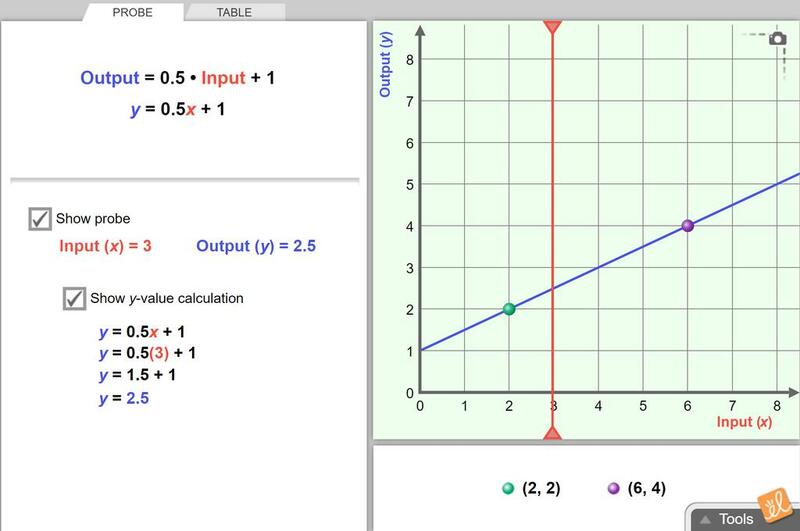 Compare the graph of a linear function to its rule and to a table of its values. Change the function by dragging two points on the line. Examine how the rule and table change. This document is the French translation of the Student Exploration Guide for Points, Lines, and Equations... (more). This translation was made possible by Alberta Regional Professional Development Consortia and ExploreLearning. This document is the French translation of the Assessment Questions for Points, Lines, and Equations. Th... (more)is translation was made possible by Alberta Regional Professional Development Consortia and ExploreLearning. There is a lesson plan attached that is useful for teaching The Coordinate Plane to English Language Lear... (more)ners. (Below the actual lesson plan is an article mentioned entitled "The History of the Coordinate Plane").